The up-and-coming Two Spot Gobi are great on stage. Can we give their live recording the same spirit? This month's Mix-rescuees, Two Spot Gobi, playing live at the Komedia in Brighton.Photo: Alex ThomasWhen the band Two Spot Gobi recently played their hearts out for the crowd at Brighton's Komedia venue, SOS reader Bradley Steenkamp was on hand with his laptop-based recording system to capture the moment for posterity. Taking direct outs from the front-of-house desk, he recorded everything directly into Apple Logic 8 via the preamps of his Focusrite Saffire Pro interface and Behringer ADA8000 ADAT expander. 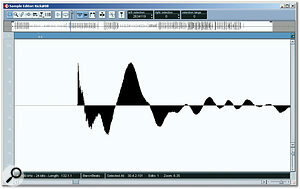 After the gig he mixed down the project at home, using Wave Arts and PSP plug-ins, before posting the results in the busy My Sound Files area of the SOS Forum to get some feedback. In particular, he mentioned in his post that he'd found spill to be a real problem, and that he'd done quite a bit of work to try to reduce the levels of leakage between mics, using Logic's audio editing and automation. I downloaded his MP3 and gave it a couple of listens, and while it was clear that he'd already produced a fair representation of what the band were about, with a sensible balance and reasonable clarity, to my ears it sounded as if the different instruments were rather disconnected from each other and occasionally rather thin-sounding — in particular the cello and trumpet parts that help make Two Spot Gobi's sound so unusual. My suspicion was that it might be possible to take a very different approach regarding the spill, leaving it in the mix and using it creatively to give a more cohesive sound, so I emailed Bradley and he agreed to send over the original multitrack files once he'd talked over the idea with the band and their management. Because of the logistics of the recording setup, this song covered just 12 tracks. Electric bass and cello were both DI'd, while all the other instruments (drums, electric guitar, trumpet, lead vocal and backing vocal) were picked up by a selection of Shure and AKG mics. The drums were multi-miked, with separate tracks for kick, snare, overhead, hi-hat, rack tom and floor tom, Because of track limitations, only one overhead mic had been recorded (the left one), Bradley's reasoning being that the crash cymbal on the other side was already coming through pretty well on the hi-hat mic. Photo: Alex Thomas Some emulated tube distortion from Silverspike's Ruby Tube plug-in, high-pass filtered at 176Hz, helped to bring the bass part's mid-range further forward and saved having to EQ the bass track itself.Photo: Alex ThomasListening to the tracks individually, one problem immediately presented itself: the front-of-house engineer had been fairly enthusiastic with his use of gating. Although this wasn't too problematic on the snare and tom tracks, the threshold of the kick drum mic's gate had been set very high, which meant that it was chopping off the front of each hit. Because of the very fast attack time of the gate, this was giving the kick an aggressive, clicky sound — something I'd originally put down to Bradley's mixdown processing choices. As it was, it became apparent pretty quickly that there was no decent result to be had from the track by processing means, so I resolved to replace the kick sound with a triggered sample once the rest of the track was in a good enough shape that I could judge what sound to choose. With the kick track muted for now, I set about simply building up a balance of all the mic signals, in order to see how the spill components on the different mics would interact — unlike with an overdubbed multitrack production, no single mic was going to provide the entirety of any given instrument sound here, so the only way to assess things was with all the mics up and running. While I was creating this balance, I panned the overhead, hi-hat and tom mics to give a bit of width, as well as splitting the guitar and trumpet either side of the lead and backing vocals. I also experimented with how polarity inversion would affect the sound, and discovered that, while most of the phase switches already appeared to be in the most suitable positions, the snare snapped into much better focus when the hi-hat signal was inverted. As the rough balance came together, I began to feel that the overall sound was a bit woolly, and tracked this down in particular to spill on the lead and backing vocal parts, so high-pass filtered them at 75 and 325Hz respectively. While I was at it, I also high-pass filtered the tom tracks, to compensate for some excess 'boom' (which I imagine was due to the proximity-effect bass boost of the close mics). Additionally, the floor tom had a pronounced ring at 105Hz, which I notched out with a 12dB cut from a narrow peaking filter. Bucking the overall trend, though, was the trumpet, which was rasping away rather unpleasantly. I combined some gentle 20kHz low-pass filtering and a 7dB peaking cut at 5.3kHz to smooth this out, shifting the focus more towards the more palatable lower registers of the sound. 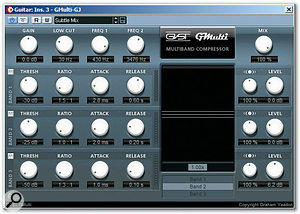 Tickling just the strongest peaks on the snare-drum track with GVST's GMax brickwall limiter quickly returned a handful of over-enthusiastic hits to their allotted place in the mix. By contrast, adding a bit more snap to the sound proved more of a challenge, because the high shelving boost that I wanted to apply also worked on the hi-hat spill (which in this case had succeeded in getting past the FOH engineer's gate most of the time). This meant that by the time the snare was bright enough the hat was starting to sand-blast my ear canals. 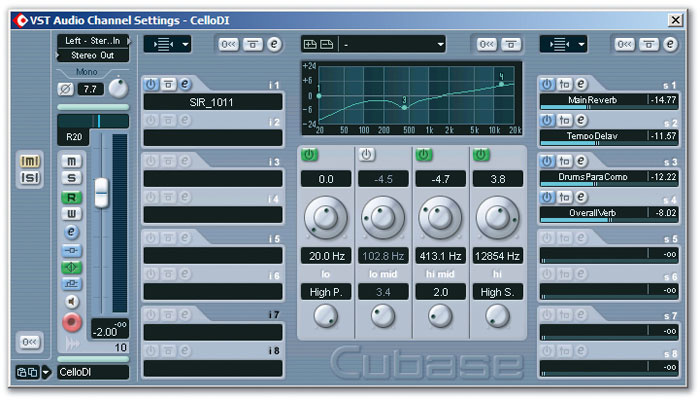 Photo: Alex Thomas The cello DI was made to sound a little more realistic with some firm EQ and a super-short reverb impulse response. The latter was too short even to provide any kind of ambience, merely adding a hint of natural resonance back into the signal.Photo: Alex ThomasI could have more heavily gated the snare track to try to get around this, but I was reluctant to, as the spill on that mic seemed to be adding something useful to the mix. Instead, therefore, I turned to the Platinumears IQ4 dynamic equaliser to boost the brightness only during the snare peaks. I set one of its four available bands to a 2.4kHz high shelf and applied the boost I felt that the snare needed to cut through the track better — a hefty 7dB. Switching this band into downward expander mode meant that the Threshold and Ratio controls could then be adjusted to pull the high frequencies down between snare hits. A fast Attack setting defeated the expansion smartly when a snare peak was detected, while the Release control was set by ear. As is often the case with such powerful tools, dynamic EQ can be a bit fiddly to set up, but the reward in this case was a very useful extra presence to the snare, without lots of harshness in the hi-hat, so it was clearly worth the effort. That said, the hi-hat tone didn't get away scot-free, so I applied 3dB cut to a fairly narrow region around 8.3kHz on both the overhead and hi-hat mics (where the harshness was at its worst), to help preserve the status quo. As a final touch, I also added a tiny 1dB peak at 230Hz on the snare track, to increase its girth. The next aspect of the mix that caught my attention was the guitar part, which wasn't quite delivering, lacking warmth while at the same time containing unruly high-mid-range peaks that made it difficult to balance reliably. To deal with this, I turned to GVST's GMulti multi-band compressor, splitting the signal into three bands at 430Hz and 3.5kHz. A low 1.3:1 ratio in the low band, but with fast time constants, increased the sustain of the low mid-range and reduced some cabinet 'thump', and I then boosted this band by 6dB using the make-up gain control, to achieve the tonality I was after. A slightly higher 1.5:1 ratio in the high band was just enough to squeeze the upper spectrum into a more mixable shape. The lead vocal had been recorded with a Shure SM58, and sounded like it had already been compressed by the FOH engineer. 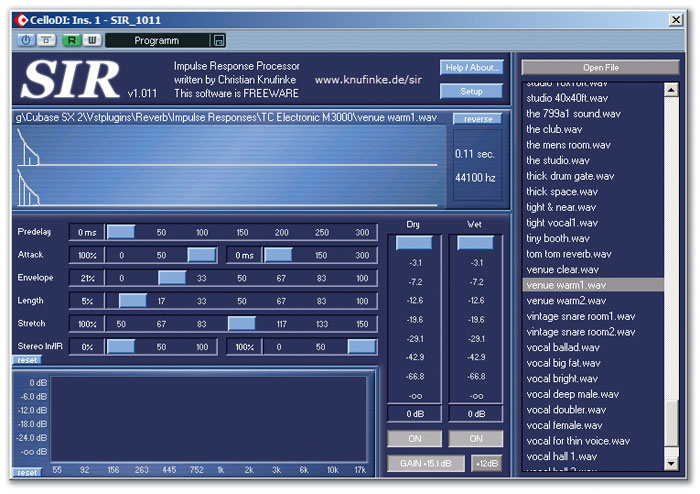 While this processing kept the vocal levels fairly consistent most of the time, the ratio didn't quite seem high enough to control the singer's full dynamic range, and some syllables still poked out of the mix a little far. However, I'm never going to complain about someone undercompressing while recording, and it was no problem to catch the remaining peaks with GVST's GMax limiter. Photo: Alex Thomas Parallel compression (a compressor set up as a send effect) was used on most of the live parts, to bring up the ambience in the original recording and bind the parts together. However, the dynamics processing also brought up the high end a little too much, so Mike cut 3dB from the return using high shelving EQ, to restore a more acceptable tonal balance.Photo: Alex ThomasThis still left the sound of the SM58, which lacks the clarity of typical vocal condenser mics, so I reached for the high shelving EQ to dial in a bit of boost and realised that the track's spill conspired against this simple approach: the singer's mic was picking up not only a lot of spill from the drums, but also quite a bit of audience noise, both of which didn't respond nicely to extra brightness. Firing up another instance of IQ4, I pulled a similar stunt as on the snare track, configuring the dynamics of a 5.2kHz high shelf so that the boost was much less active during gaps between the singer's phrases. As with any high-frequency vocal boost, there's the potential for increased sibilance, and so it was here. Digital Fishphones' Spitfish plug-in is my first-call de-esser at the moment, but it introduces a processing delay that isn't compensated for by the Cubase SX 2 mix system I was using, so after I'd addressed the sibilance problem by focusing the processing on the 9kHz region, I listened to the track again, exercising the plug-in's bypass switch to check for any undue tonal shifts resulting from the change in phase relationships. Luckily the difference in this instance was vanishingly small, so I turned my attention to the backing vocal track. The main problem here was that the singer was moving on and off the mic quite a lot, so his level needed serious control. However, the spill on this mic was not only loud, but also pretty unpleasant — all harsh trumpet, abrasive hi-hat and boxy bass — so I knew that compressing this track to sort out the vocal levels was going to compromise the rest of the sound wherever he wasn't singing. In this instance, then, I figured it would be best to minimise the spill levels before stamping on the signal firmly with MDA's simple Limiter plug-in. Rather than faffing around with a gate plug-in for such a simple task, though, I just deleted all the spill sections using Cubase's audio editing tools. Again, some de-essing was important here, but I used Cubase's less well-specified onboard De-esser for this, to avoid phase problems with Spitfish's latency. A little sculpting with fairly narrow 4dB peaking cuts at 300Hz and 5kHz completed the picture, but I still held the fader level as low as I could to keep the remaining spill as far out of the way as possible. At this point the mic signals were beginning to work together pretty well, so I began to work on fitting the DI bass and cello parts in — the lack of spill on these signals meant that they weren't going to inter-react significantly with the miked signals, which made them much easier to deal with. The bass part was a little too dynamic to give a consistently solid low end, so I compressed at a 2:1 ratio with Buzzroom's Gran Comp, taking off around 6dB on signal peaks. Mixing it in with the other parts, I didn't feel that it really cut through in the mid-range as much as I'd have liked, so I set up a send effect to Silverspike's Ruby Tube tube-saturation plug-in, driving it hard to introduce a few extra harmonics and high-pass filtering it below 175Hz, before mixing in just enough to increase the line's audibility. This changed the timbre enough that no further EQ was required. The guitar part needed warming up, but also had some rogue high-frequency transients which were causing problems with the balance. 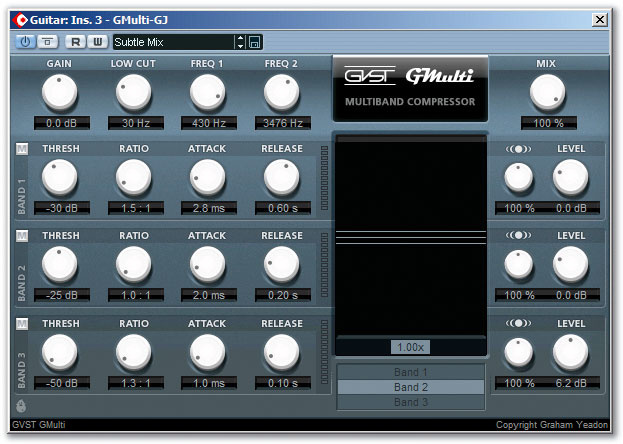 The solution to both of these problems came in the form of GVST's GMulti multi-band compressor, which boosted the low end and knocked the HF peaks back into place.Photo: Alex ThomasThe cello DI was a pretty unlovable raw sound which, even after 5dB of 400Hz peaking cut and 4dB of 13kHz shelving boost had tamed the worst of the boxiness, simply needed some extra resonance to make the instrument appear more real. After a bit of experimentation, the best tool I found was a truncated impulse response (only 0.11s long!) in the SIR plug-in, which managed to breathe a bit of life back into things. 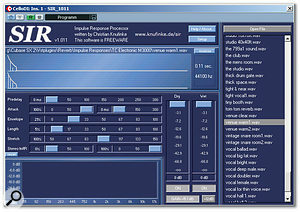 The mix was now at a stage where I felt I could make a decent judgement regarding kick-drum samples, so I used Koen Tanghe's KTDrumTrigger plug-in on the gated kick-drum track to generate MIDI notes and then loaded a few samples into Linplug's little RMF sampler until I found one that seemed to fit the bill. 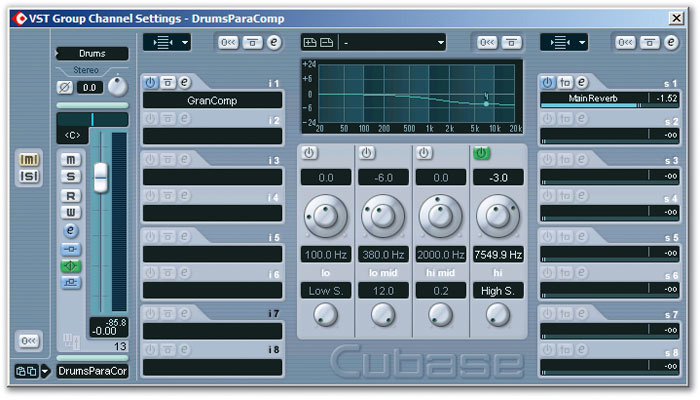 A bit of time spent selecting the right sound meant that I didn't need any other processing here, although I did adjust some of the MIDI note velocity values in order to match the level of the triggered kick to the drummer's original performance dynamics. Two Spot Gobi take in some fresh sea air on a sunny day in Brighton.Photo: Alex ThomasBradley Steenkamp works for First Choice airways as a First Officer, but spends most of his spare time working on music-related projects, including writing music for various media applications and recording in both live and studio environments. 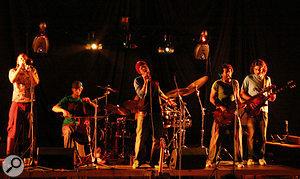 His recording of Two Spot Gobi's Komedia live show was for the company Studio Dynamic, to support a short web interview. Two Spot Gobi are an alternative-pop band from Brighton, whose fresh and soulful sound has already gained them a huge following. 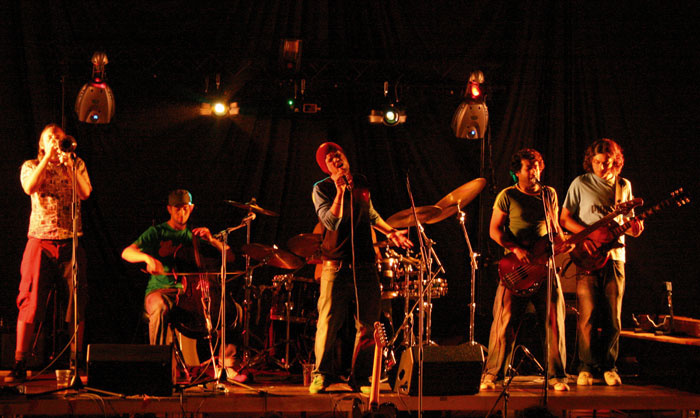 Formed in 2005, the band successfully mix cello and trumpet into their own unique and commercial sound. They were recently featured on MTV and have just recorded their first single, 'Sunshine Lady', due for release on June 9th this year. All the tracks were now up and running, and although they were beginning to cohere because of the spill contributions, everything still sounded a bit dry, and there was patently work to be done in developing a suitable ambience. This is typically the point in mixing an overdubbed studio multitrack where delays and reverbs start playing a part, but as there was so much spill to play with here, I first tried putting more emphasis on that before adding artificial processing. Here you can see the waveform of one of the kick-drum hits on the original recording. The sharp spike at the start was caused by aggressive gating during the recording and rendered the track pretty much unusable for mixing purposes.Photo: Alex ThomasTo bring up the ambience, I set up another instance of Gran Comp as a send effect, feeding it with a mix of all the parts I wanted to connect (snare, overhead, hi-hat, guitar, and trumpet) and then thrashing it with a 3.5:1 ratio at a very low threshold, so that it was hitting 20dB gain reduction at points. The attack and release times were also set pretty fast (5ms and 23ms respectively) and I switched in the limiter for good measure, to produce a comprehensively liquidised output, effectively killing all the peaks in order to zero in on the ambience. Although you wouldn't have wanted to listen to this signal on its own, once it was balanced back into the mix at a low level it simply faded up the overall ambience level and immediately bound everything together much more tightly. Of course, this parallel processing inevitably changed the balance as well, but it was a fairly simple task to set that matter straight. Another side-effect was that the high end was being emphasised unduly (partly as a result of the particular compressor Character settings I had chosen), so I reined in the high end of the compressed return with a 3dB shelving cut at 7.5kHz too. Despite this cut, the hi-hat was sounding a bit harsh again, so I decided to de-ess the hi-hat track a little to take more of the edge off the high-frequency peaks. Funnily enough, although the cello DI track had no spill on it, it turned out that sending some of that signal to the parallel compressor as well helped it sit better in the track, so I spent a minute finding the most suitable level for this. Having taken the inherent room sound as far as I felt I could, I was still hankering for a slightly more flattering overall reverb treatment to round things out. Pulling up another instance of the SIR convolution plug-in, I loaded in one of my favourite 1.4s impulses (which is great for adding a sense of spaciousness and ambience without an obvious reverb tail) and high-pass filtered the channel, as I normally do, to keep the low frequencies clear. The high-pass filter setting for this is something you have to determine by ear, according to the particular track you're working on, and I often find myself adjusting it at various stages as the overall mix tonality develops. This screenshot from Cubase SX 2's Key Editor shows the MIDI notes which triggered the replacement kick-drum sample in the remix. Notice that the note velocities (and hence the sample's volume) have been edited to mimic the changes in the drummer's playing during the song's different sections.Photo: Alex ThomasMost of the parts went to this reverb, either directly or via a send from the parallel compressor that I'd already set up. The aim was simply to warm up and widen the sound overall, and although I made sure to keep the levels low enough that you could never hear the reverb as an effect as such, you could still hear a significant difference when the effect return was muted. In addition to this main reverb, I also set up a simple stereo tempo-sync'd delay effect, sending to it from the trumpet and cello tracks to make them a bit more sweeping. I used a stereo effect so that I could pan the delay send to match the direct signal, such that the delay repeats matched the position of the instruments in question — I find this helps to avoid too many delay repeats building up in the centre of the stereo image where they can easily veil more important things. As both of these instruments seemed to benefit from a bit more mid-range, I restricted the frequency spectrum of the delay return by bracketing it with filters at 100Hz and 3.2kHz, and then also sent from the delay channel to the main reverb to distance them a little more. I was reluctant to add too much in the way of reverb to either the vocal or bass parts, for fear of clouding them and reducing their impact, so for these I added slightly different effects instead. For the vocals, I chose another ridiculously short, bright impulse response from SIR, which widened and blended the vocal in equal measures, and then supplemented that with a hint of 'venue wall' using a single de-essed 60ms slapback, brightened with a high-pass filter turning over at 450Hz. Again, I fed some of this return back to the main reverb. 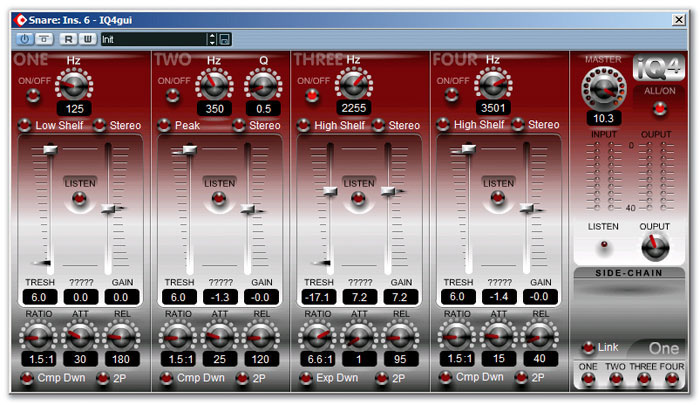 The bass benefited from some of the short vocal impulse as well, but I added in a fair amount of stereo chorusing too, because the bass sound seemed too tightly focused in the centre of the stereo field. Bradley Steenkamp: "I posted a link to my mix on the SOS forums for people to comment on and got very positive feedback. Most people (including me!) seemed to agree that the level of the trumpet was a little low, but in addition I found crowd and instrument spill to be an irritation. (Thanks to Bryan, Cailen and Geoff at Studio Dynamic and also Steve Richer for all the feedback!) I think it's very interesting to find out how different people tackle a mixing project, so when Mike got in touch with me about remixing the song for Mix Rescue, it seemed like a great opportunity to learn something from a master at work! "I am very impressed with the finished mix. It is far more intimate and the levels of the trumpet, cello and guitar are better balanced. Mike has embraced the spill and used it very effectively as part of the live sound. This is something I have avoided so far but will keep a more open mind about when mixing in the future, as it seems to add to the feel of the song. I also much prefer the sound of the bass guitar and kick drum." 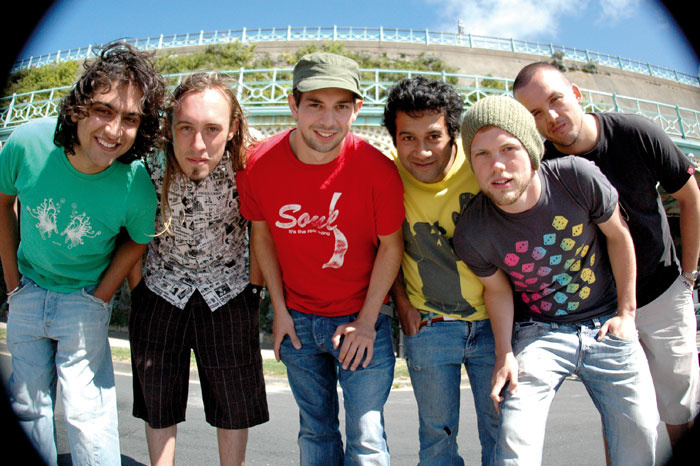 Two Spot Gobi: "Overall we are very happy with the remix. The main improvement for us is that the instruments sound a lot more natural and less EQ'd, especially the cello, where you've managed to widen the spectrum of sound so that we can really hear the bass frequencies that usually suffer as a result of it being DI'd for the live setup. The frequencies of the trumpet have also been fully captured, opening out the sound a lot more and adding to the live feel of the song. The lead vocal doesn't get lost in the mix, which is really important for our sound, and it gels well with the backing vocals. We've found that the bass also often gets lost in live recordings, but that comes through nicely too. Thank you!" When I was satisfied that I had a pretty solid mix balance together, I emailed Bradley to get his feedback. Although he liked the new sound overall, he felt that I'd left the venue sounding smaller than it actually was — a fair point, as I'd subconsciously been envisaging a pub gig, and Komedia's is no pub! With this in mind, I revisited the mix and added in a richer-sounding recital-room reverb, chaining it with a tempo-sync'ed stereo delay for some additional sustain — as is sometimes the case, I found an impulse response that had just the right tonality but simply wasn't quite long enough. This new reverb was added to the guitar, trumpet, cello, drums, and lead vocals to increase the apparent size, and with hindsight I'd agree with Bradley that the final mix is all the better for it. 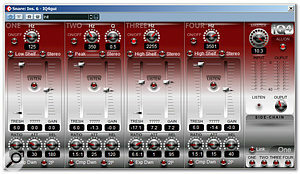 Platinumears' IQ4 dynamic EQ plug-in came in handy on a couple of occasions where the wanted signal needed brightening, but not the spill: the instance pictured here shows the settings used on the snare, but it also came in handy for the lead vocals.Photo: Alex ThomasWhile I was at it, I also tweaked a few other things which still bugged me a little: the guitar still had a slightly nasal sound, which I adjusted with a small EQ cut at 1.7kHz, and the lead vocals were disappearing behind the backing parts on the odd occasion, requiring a little level automation to keep them audible throughout. In addition, I noticed that the levels of hi-hat spill on the lead vocal mic were upsetting the drum balance for a couple of sections, so I pulled down the vocal fader for these sections. Bradley had suggested that I should contact the band directly too, so I sent them the remix to see what they felt about it — and initially received a somewhat lukewarm response! Although they liked the way the individual sounds had filled out and blended together in general, they mentioned that the trumpet was getting in the way of the vocals at times, and that the overall tonality was bass-light and tending towards harshness. Calling up the mix again and referencing it against the band's soon-to-be-released single, which they'd attached to their email reply, it soon became clear that Bradley's view of the way they should sound (on which I'd based my mix) was different from the band's, which meant that I'd been aiming for the wrong target! 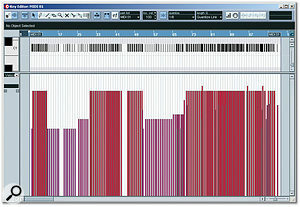 Fortunately, rectifying the situation to the band's satisfaction turned out to be fairly straightforward: just some level automation for the trumpet, a bit more bass and kick in the balance, and a dose of corrective buss EQ (gently lifting the low end below 200Hz, pulling down an octave-wide region around 1.5kHz, and adding some air at the top end). I hope that I've been able to demonstrate how the acoustic spill between different mics in a live ensemble recording can be your friend, providing an 'ambient glue' (to use producer Tony Platt's term) that holds the production together. The other advantage of going easy on the gating is that more of the information about each instrument is captured, and that can really help fill out the sound — if you listen to some of the audio files on the SOS site, you'll hear how some parts sound quite different just through their own mic than they sound in the context of the mix, simply because of the spill contributions from all the other mics. 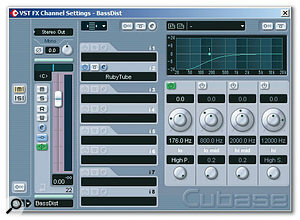 Admittedly, you sometimes have to think laterally to get the control you need over individual sounds despite the leakage, but that can actually be easier in the long run than having to use mountains of processing first to remove the spill, and then to artificially re-establish an organic-sounding connection between the different instruments.